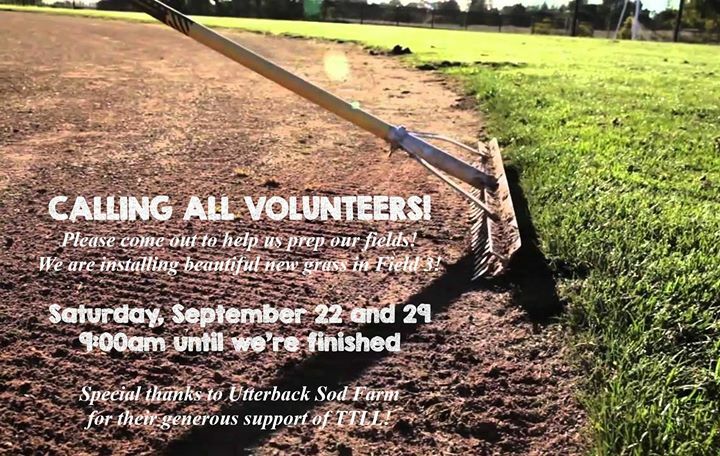 Please spread the word and help us get volunteers for September 22 and 29 field prep! We are starting at 9am and need all the help we can get! Bring a shovel if you have it, the League will provide water and lunch to volunteers! Finally, help us in thanking Utterback Sod Farm for their generous support of TTLL!